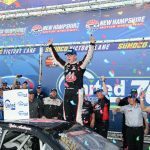 Brandon McReynolds reclaimed the lead in the final lap to win the NASCAR K&N Pro Series East Apple Barrel 125; Ankrum captures series championship. 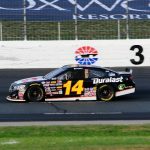 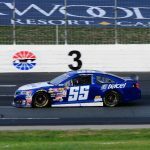 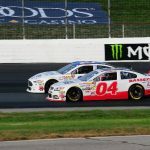 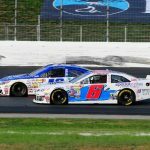 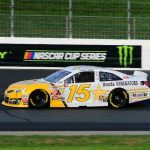 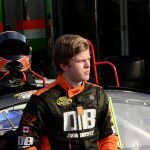 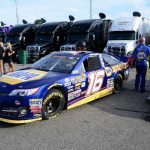 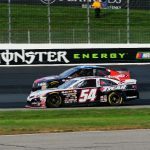 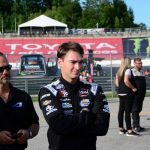 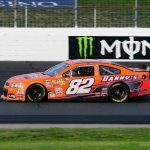 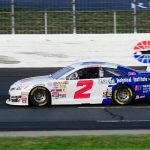 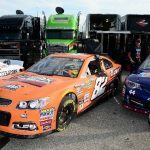 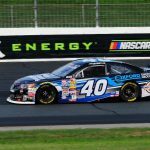 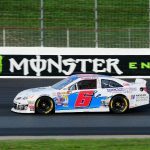 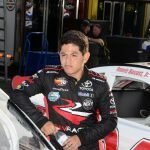 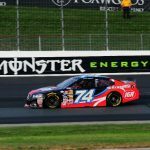 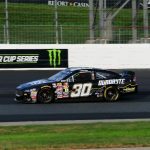 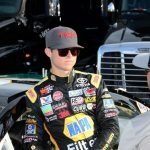 LOUDON, N.H. – A late caution and green/white/checkered finish gave back to Brandon McReynolds what Derek Kraus almost took away during the NASCAR K&N Pro Series East Apple Barrel 125 at New Hampshire Motor Speedway. 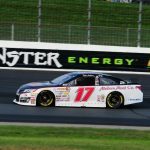 Eddie MacDonald scored a 12th place finish in the K&N Pro Series East’s United Site Services 70 at NHMS on Saturday, July 15. 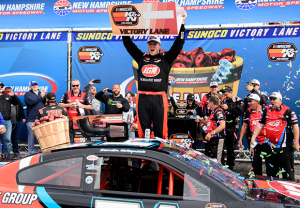 The K&N series returned to the Loudon track for the annual NASCAR Cup weekend. 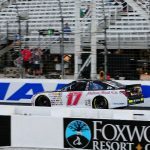 Eddie Mac posted a 15th place start in qualifying but was moved to the 20th position after sustaining an infraction in tech. 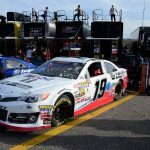 The Grimm Construction Chevy moved into the 12thposition despite fighting a loose condition. 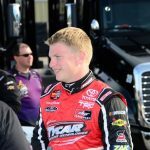 Eddie Mac never got the caution he needed to bunch up the field that quickly spread out after the only caution on lap four. 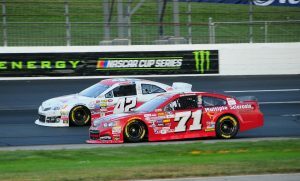 The 70 lap feature took only 39 minutes and forty-five seconds to run leaving no opportunity to make any significant progress. 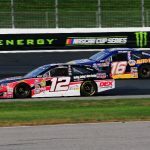 Eddie MacDonald returned to Thompson Speedway Motor Sports Park for Saturday’s Busch North Throwback 100 after an eight year series hiatus to post a thirteenth place finish. 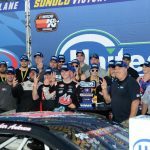 The Grimm Racing Team honored legendary Busch North driver Andy Santerre by displaying the Aubuchon Hardware paint scheme for the race. 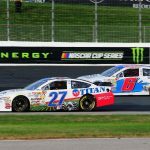 While the period wrap was a huge hit with Santerre and Busch North fans, the desired outcome was not achieved. 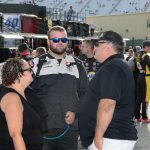 When the NASCAR K&N Pro Series East announced the race at Thompson Speedway Motorsports Park on Saturday, July 8 would be named the Busch North Throwback 100, Eddie MacDonald’s first thought was to honor the driver who meant so much to the series and a young impressionable driver. 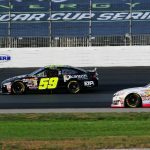 K&N series official’s encouraged current teams to adopt a former Busch North team’s paint scheme. 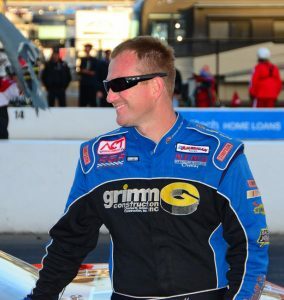 Both Eddie Mac and team owner Rob Grimm quickly decided to wrap the Grimm Construction Chevy in the Aubuchon Hardware paint scheme made famous by their legendary driver, Andy Santerre. 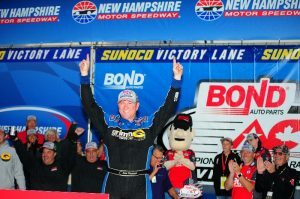 Eddie Mac won the first Pro Stock/Super Late Model event held at NHMS and hopes to duplicate the win in the inaugural Short Track Showdown saying, “We are really excited to go to Loudon for this race. 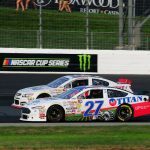 Anytime you get to race there it is always something to look forward to and hope we can put on a good show. 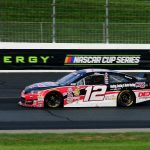 The same car we won with two years ago there is almost ready and we can’t wait for the race. 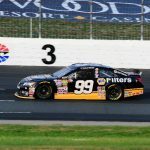 It is a 50 lap race so everyone will be going hard from the start. 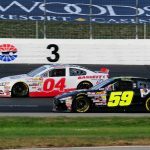 It should be exciting and a number of Granite State cars are scheduled to be there so it should be a very competitive field. 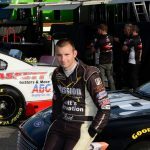 Hopefully we can get another win for car owner Dave Lemieux and sponsor Derek Beatrice from EXIT Realty Beatrice Associates in Middleton, Mass.